GCSE schools guide – find the best schools in your area | Education | theguardian.com. This animation works through numbers, showing by pattern arrangements, how non-prime numbers can be factorised, but prime numbers cannot. Animated Factorization Diagrams – Data Pointed. Time and again this issue comes to light. The million dollar question: How do we improve performance in our schools, and guarantee that every child, regardless of their socio-economic background, has access to a minimum acceptable standard of teaching? The tough answer is that there are no quick fixes. Schools cannot undo the damage caused to children by broken homes, poverty, neglect and abuse. But that doesn’t mean we shouldn’t keep trying. This is where the C-grade culture comes into play. In our culture of “management consultancy” metrics, it makes perfect sense that the best way to fix a problem is to measure the extent of the problem and track changes to that measure. We can easily count how many GCSE’s a student has, so we use that as our measure. Unfortunately we did not foresee the negative consequences of this. In the first place the measure itself is such a narrow focus on what it means to be a healthy member of society, or a “good citizen”. Secondly, we are directing our blame for this problem squarely at the teachers. In a society where celebrity and wealth is glorified, we are directing our blame for society’s ills precisely on those people who chose to devote their lives lifting future generations up. Naturally, if we only care about one aspect of a teacher’s role, teachers will tend towards meeting only that one goal. So bright children get ignored because instead of praising teachers for bringing a C-grade student to an A*, society instead focuses on the E-grade student who only got pulled up to a C. And the G-grade student who has no chance of getting a C in Year 11? A maths teacher can work out the cost/benefit ratio associated with helping that child, too. So our education system is racing to the middle. Teachers and students alike have learnt to aspire to a C, and no further. Secret Teacher: schools should not be slaves to a destructive C-grade culture | Teacher Network | Guardian Professional. Article: Teachers! What would evidence based practice look like? 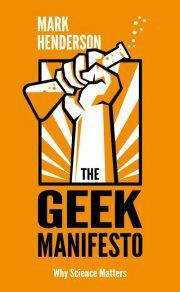 The idea of using evidence-based policy is presented rather convincingly in The Geek Manifesto. Putting parents into the equation: maths homework ideas for teens | Teacher Network | Guardian Professional. “I think we all know the problems with the existing 5 A*-C including English and Maths threshold. Many schools are allowed to coast, safe in the knowledge that they will cross the line in any case. In other schools, too much pressure is placed on a handful of teachers, teaching a handful of children, while the rest can be given less attention. The system all but guarantees us a 40-50% system, since schools only have to get a small number of extra children over the threshold. Once more, if I am honest, I do not understand how anyone could ever have thought that this was a sensible method by which to judge our schools. We propose instead to judge schools by two yardsticks. The first is a C grade threshold in English and Maths. The reality is that both further education and employers do place a unique value on these qualifications. It is right and proper that schools should do all they can to get as many children over this line as possible. And there are schools up and down the country who achieve amazing results on this measure. The head of Bishop Rawstorne school in Lancashire gave a seminar in the department recently. 81% of his pupils get at least a C in both subjects. It can be done, and, bluntly, it must be done.